How much could you raise if your board members and volunteers were fully behind fundraising? International consultant and author Gail Perry shares her secrets to igniting your board's passion, changing their mindset about fundraising and setting them to work in easy roles that will directly impact the bottom line. 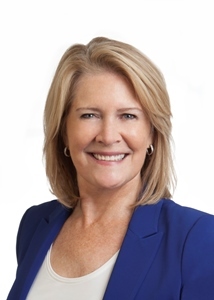 Gail will show you, your staff and your key stakeholders how to make the fundraising process less intimidating and how to empower your volunteers and board members to be in action engaging donors for the cause. You'll discover practical new ways to engage and get the most out of your board members and volunteers. This program is a great workshop for beginner, intermediate and veteran fundraisers and non profit leaders! Show off the value of your AFP membership to your CEO, Board Chair, or Board Member and invite them to join you at this workshop. The first ten AFP members who fill out this form, will receive a discount of $25 off the price of the guest price for your CEO/Board Chair/Board Member. First come, first served and one per organization. 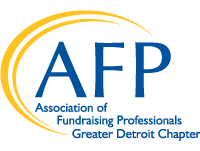 Your CEO/Board Chair/Board Member will learn firsthand the value and importance of the Greater Detroit AFP Chapter membership and the educational value it brings to metro Detroit organizations.